Some of the best Boise days are spent walking or pedaling in the sunshine, hopping from one beer destination to the next. Boise is packed with breweries, bars and restaurants that prioritize locally-sourced ingredients and are in close proximity to each other, making it easy to spend a day indulging in Boise’s best beers and bites. 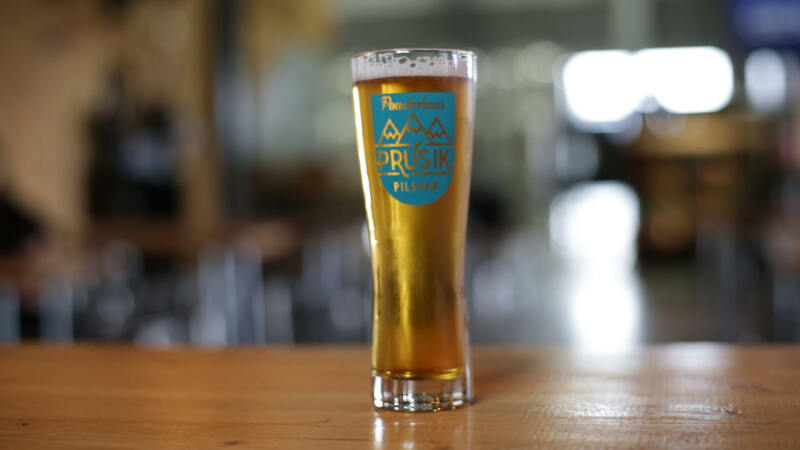 Find time for a pint at one of Boise’s booming breweries. Photo Credit: Idaho Tourism. Known for serving up big, bold IPA’s, 10 Barrel’s Boise location is brimming with good food, great beer and downtown Boise energy. Located on the corner of 10th and Bannock – across the street from the must-see Freak Alley – the 20-barrel brewhouse has over 20 beers on tap and delicious pub fare available seven days a week. Try the steak nachos – you will not be disappointed. Minors are welcome at 10 Barrel Brewing. 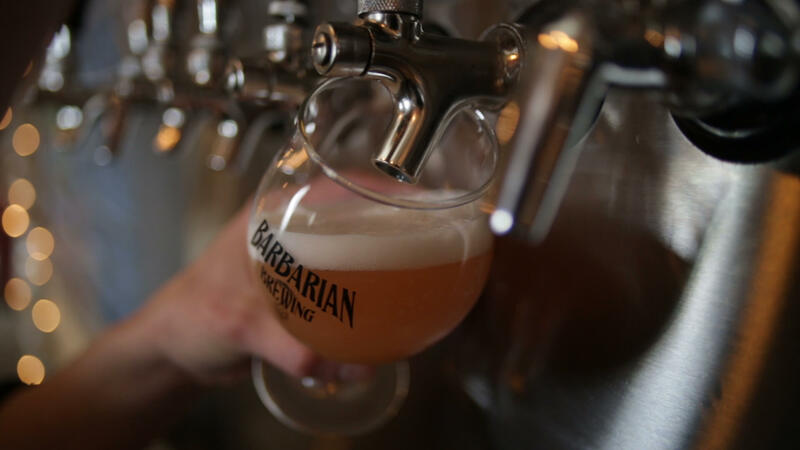 Barbarian’s downtown taproom is for those that appreciate experimental flavors. Boasting an impressive array of unique barrel aged and mouth-puckering sours, Barbarian has a ton of options to taste in their downtown Boise taproom. If you want to be closer to the action, a visit to their brewery and taproom in Garden City is worth it. As the city’s first community-supported brewery, Boise Brewing functions similar to a co-op where locals buy a share of the brewery and receive dividends paid out in beer. In addition to making fantastic beer, the brewery often collaborates with local food trucks, artists, musicians and organizations for events. Minors are welcome inside the main room and dogs are welcome on the outdoor patio. A Boise Greenbelt bike ride lends the opportunity to stop at the West End’s first brewery – Clairvoyant Brewing Co. It serves a handful of delicious craft beers on tap as well as Proletariat Wine and Meriwether Cider. Several days a week, you’ll find a food truck out front and live music or trivia underway inside. Clairvoyant Brewing is family and dog-friendly. Boise’s first nanopub, Cloud 9 Brewery, operates a 4-barrel brewery and restaurant in the North End. It offers six staple taps and six rotating taps in addition to a food menu featuring unique creations using organic and locally-sourced ingredients. Kids and dogs are welcome at Cloud 9. One of the newest breweries in downtown Boise, Lost Grove’s brewery and adjacent taproom is a place where people can “get lost, live in the moment and enjoy the here and now.” With six rotating beers on tap and a slew of events and food trucks at the taproom during the week, Lost Grove is truly a place where you can go to escape. Kids and dogs are welcome. Payette Brewing Company, Boise. Photo Credit: Idaho Tourism. 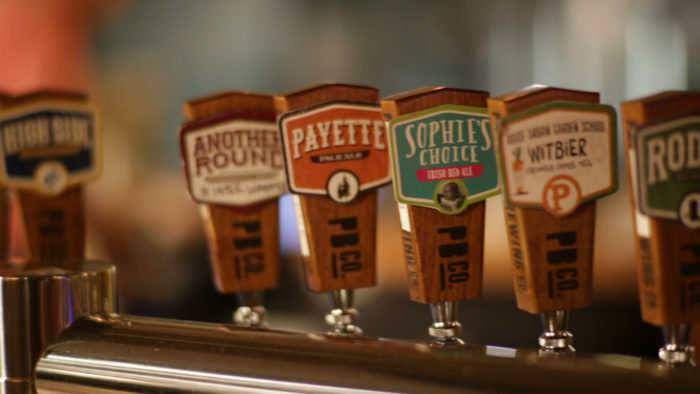 Payette’s downtown brewery and taproom share a “passion for beer, life and all things off the beaten path.” Located just off the Boise Greenbelt, Payette offers 20 beers on tap, cider and wine, with eats available from a food truck parked out front. Payette is family and dog-friendly. White Dog Brewing opened its 15-barrel Boise brewery on the corner of Capitol Boulevard and Fulton Street. The brewery has sixteen “approachable, balanced beers” on tap and features a 24-foot frost rail to keep your beer icy cold while you hang out at the bar. In addition to good beer, White Dog is the place for delicious, unique eats. Smoke and Thyme, a 40-foot mobile kitchen parked adjacent to the brewery, serves pub food to White Dog and special menus to White Dog’s neighbors, Longdrop Cider Co. and Gas Lantern Drinking Co.
Bella Brewing | 4340 W. Chinden Blvd. Bella Brewing is a small batch craft brewery nestled amongst several notable wineries in Garden City. In the taproom, you’ll find 13 beers on tap that cover the brewery’s styles well, from sours to IPAs. While there is no food served in the taproom, guests are welcome to bring their own snacks to accompany a cold beer. Dogs and kids are welcome at Bella Brewing. County Line Brewing | 9115 W. Chinden Blvd. Nestled in between storefronts along Chinden Blvd. in Garden City, County Line Brewing’s laid-back atmosphere makes you feel like you’re part of the crew. They shuffle a variety of beers across six taps and fill growlers. The only snack offered is tasty (and free!) popcorn to munch on while you sip, however you can have food delivered to the taproom. If you’re lucky, you might even get to meet Barley the Brew Pup. Powderhaus Brewing | 9719 W. Chinden Blvd. Walking into Powderhaus Brewing is kind of like entering a spacious cabin living room, except the cabin is attached to a brewery and the kitchen is stocked with tasty craft beer. Powderhaus creates “alpine inspired” beers made with local hops and traces of floral and pine flavors. They have live music, food trucks and a dog-friendly taproom. Located along the 8th Street corridor, Bittercreek Alehouse is a downtown Boise staple. Bittercreek has an impressive array of beers on tap with brews from down the street and across the globe. The food menu features delicious dishes crafted with thoughtfully-sourced ingredients, many from right here in Idaho. Bittercreek also operates an urban worm farm which allows them to compost food scraps and reduce paper waste. Boise Fry Company | 204 N. Capitol Blvd. The name says it all – Boise Fry Co. is all about the fries. In fact, the fries are the entrée – first you choose your preferred potato, then choose how you like ‘em cut. Only then do you decide which burger and toppings will compliment your bowl of fries. In addition to mouthwatering meals, Boise Fry Co., has a selection of beers on tap and offers BOGO happy hour beers and fries. A modest eatery attached to Woodland Empire Ale Craft, Manfred’s is two Boise favorites – Archie’s Place Food Truck and Bar Gernika – under one roof. The menu is comprised of comfort food with an experimental twist, like sloppy grilled cheese, the tacodilla and the infamous croquetas. Manfred’s will walk your food over to Woodland’s taproom or across the parking lot to PreFunk beer bar. Bar Gernika | 202 S. Capitol Blvd. Bar Gernika serves authentic Basque food, wine and desserts on the corner of Boise’s historic Basque Block. The menu is comprised of Basque staples like tortilla de patatas, chorizo torta and croquettas. Lucky for beer lovers, they have eight taps with delicious beers, too. Bar Gernika’s rotating tap list includes beers from Boise, the Northwest and around the world. Insider Tip: find seasonally rare beers at Bar Gernika pulled from their enviable cellar collection. 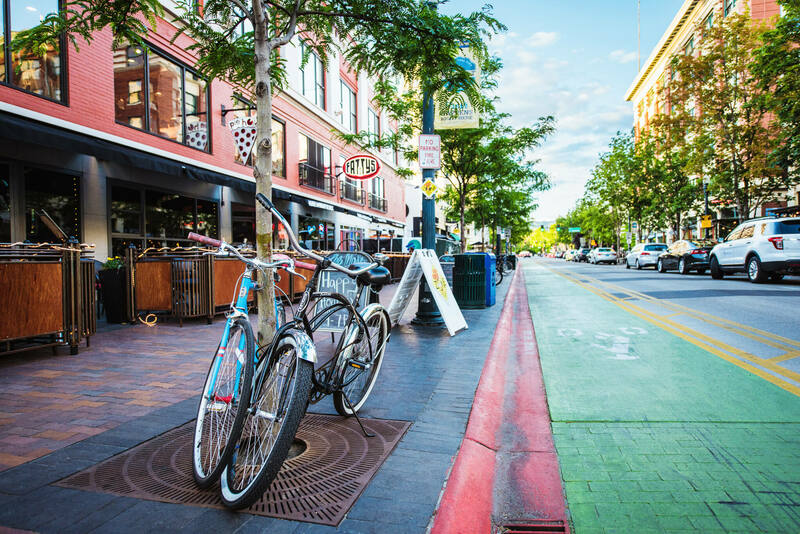 Downtown Boise is very walkable, but there are plenty of options if you’d rather cruise around on two wheels. Find more information about bike rentals, maps and other restaurants here.